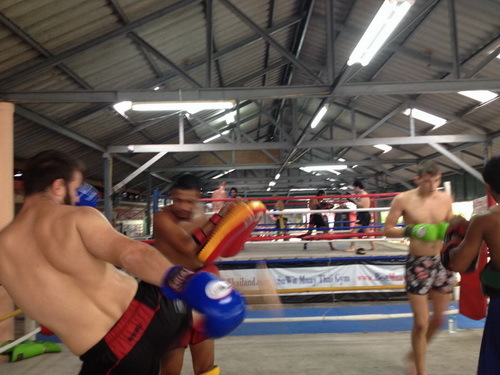 Muay Thai fighters need to be short on fat muscles as the inside ring situation demands swift movements of body parts. Therefore attaining a specific body weight level becomes primary for each athlete. However, every newbie fails to attain that on first. Specific calculation says, a continuous 2-hour muscle session inside a Muay Thai camp can burn almost 1200-1500 calories, but it mostly depends on the level of the activity and the way you are doing it. Now, if you want to get into the shape by losing some weight, then you must monitor some calories you burn per day. By a simple method, you can know how many calories you need as input on a daily basis to attain the desired weight level. But, before that, you need to have a basic understanding of these two terms. This number indicates some calories your body burn while completely at rest without doing any primary physical activity. There are multiple methods floating on the web through which you can calculate your BMR by using your weight, height, and age as input. On an average, it comes to be 65% in most cases. First, calculate the BMR and then the Adjusted BMR (that takes the daily physical activity into account). The result will be the number of calories we burn per day. This count for the calories burnt during our waking hours and hence represents for 1/4th of the calories we burn. It varies according to the health status of the person; a Muay Thai fighter will have more shooting numbers than a normal one. Considering this one, the average calorie deficit per day by most training camps is taken as 500. But you can calculate your dpending upon the level of activity done per day. This will be the final calorie intake.